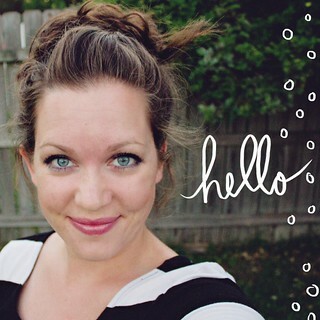 Today I am doing a guest blog tutorial at Dollar Store Crafts. 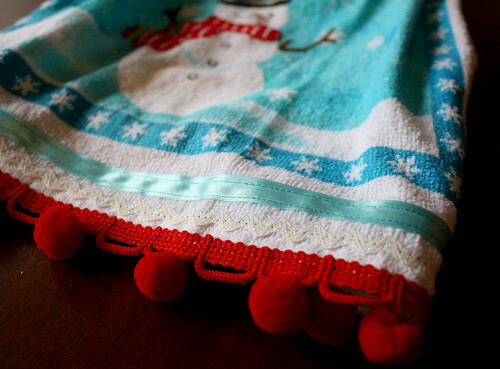 I share how to make this super easy quick pot holder dish towel from dollar store and on hand items. I saw some of these at a craft show and thought they were super cute (they sold really well too). 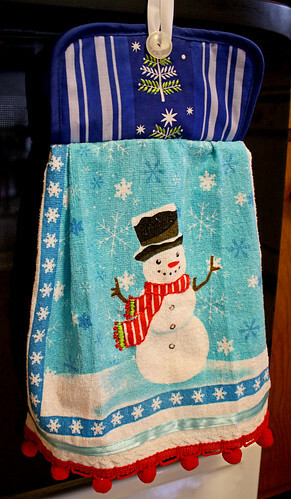 I really love it because it keeps the dish towel on the stove handle. My little one always rips those things off when running by and now she won’t because she will have to stop and undo it to be able to. Check it out here. Tomorrow night my Etsy shop will be “closed” for a Christmas break. I will still be able to email the Octopus pattern if bought, but that is it. 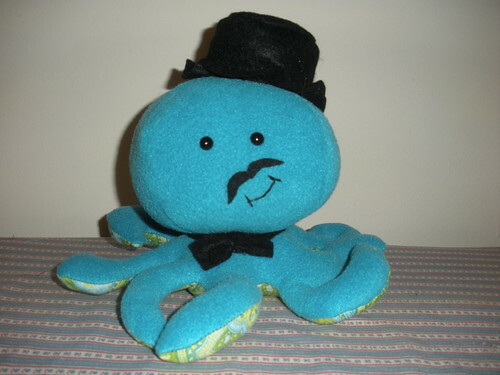 Speaking of, how cute is this octopus made by DistantPickles (from the Happy Together Flickr Group)? I plan on making a ton more of those headbands to put in the shop at the beginning of the year and I also have a few patterns almost finished!!!! Whoo hoo! Be on the look out for some great things in the new year. I will still be posting, as I have quite a few things still to share (see, what you do is do a lot at one time and then slowly show everything and everyone thinks you do so much :). i love the pot holder/dish towel!! i’ve purchased them from craft shows before, and just started making my own this year! so handy! the hair clips are really cute!! i loved that octupus, that is so chweet! !jesse i wanted you to spare me an idea.. i have satin cloth in peach color.. not sure what kinda of a garment i can stich for my daughter .. she is two.. would you mind suggesting me something.. Thank you so much for your awesome tutorial! It’s so cute, and so great to have you on Dollar Store Crafts!! Pretty dresses are always fun, but you could make a nice blanket with ruffles from it. Little ones love the feel of satin. This has got to be my favorite octopus besides the one made out of the bridesmaid dress! Love all of your creations! So glad I found your blog! Thank you! 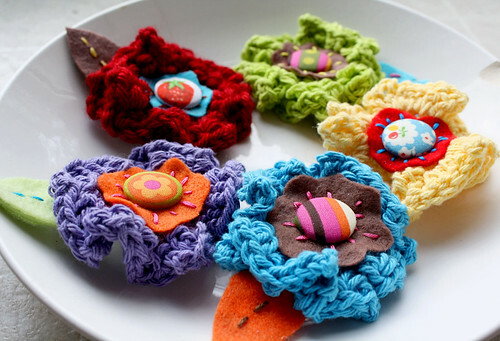 This blog post will be advertised on CraftCrave in the Handcraft category today (look for timestamp: [08 Feb 04:00pm GMT]).